PPOT and the rest of the C64 remixers are featured in the January edition of the British magazine "The Edge". The tune Ark Pandora's Divine Trousers which was our entry forRemix64's 80's competition has been available on R:K:O for some time,but is now present on our download page aswell a brand new tune called Dezcrator. The last one was done for anew german PC game called SpaceTanks. 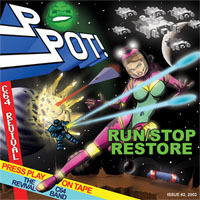 DHS' Remix of PPOT's Game Boy Band song (Comic Bakery) can be heard in Putzi's C64 remix #5 (13:41-17:42). 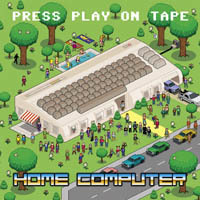 PRESS PLAY ON TAPE's Game Boy Band song (Comic Bakery) has been remixed by DHS. Get it at R:K:O.
Kenz (Jason Mackenzie) has put six videos online from our rehersal with Ben Daglish and Pascal Roggen at BIT3 live. See Ben mad as a fish! PRESS PLAY ON TAPE will play at IT-C soon. As from tomorrow you can buy "Loading Ready Run" in the GUF shops in Denmark. The retail price is 100 kr. We managed to record the gig on minidisc so we'll probably release it as a bootleg soon. Meanwhile you can check out the pictures.